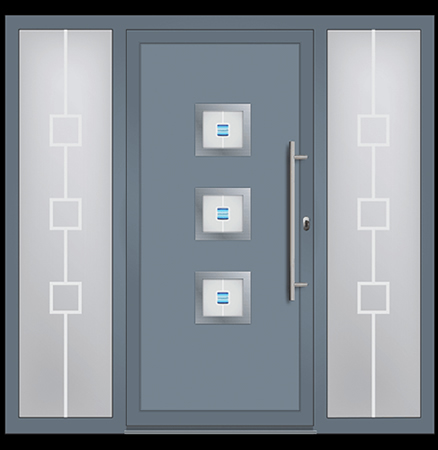 This Aluminium door combination includes a Silver Grey (RAL 7001) frame and aluminium door, with full length sandblasted glass side panels. The Pop Art Blu Fusion tiles in the door glass makes your entrance door a state of an art entrance into your home. With the 800mm stainless steel off-set bar handle makes the perfect finish to an Aluminium Door Combination. 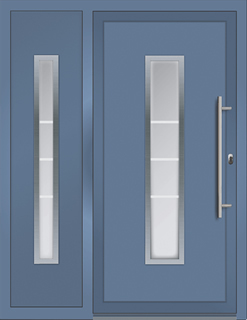 The single panel Aluminium Door panel combination arrives in Pigeon Blue (RAL 5014) door frame. 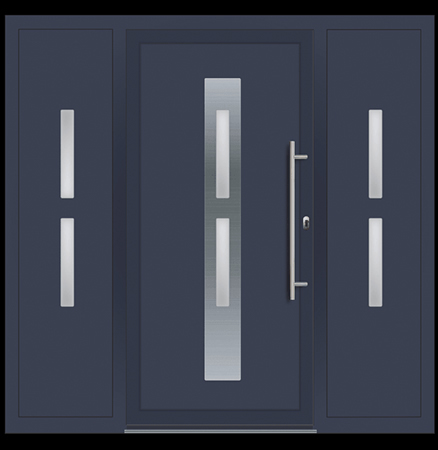 The beautiful aluminium door has side panel in-fills with stainless steel glazing trims. To finish this outstanding look it has a 800mm stainless steel off-set bar handles. This Aluminium Door is fitted with a Graphite Grey (RAL 7024) door frame. 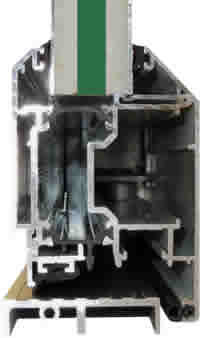 The aluminium door has side panel in-fills, with stainless steel glazing trim on the door. 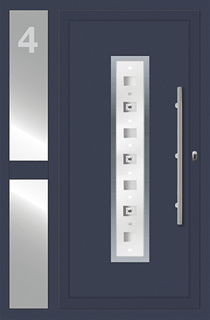 To finish this fabulous look there is a 800mm stainless steel off-set bar handle.